This is really versatile—you can serve it as a side dish, as a chilled salad (like coleslaw), or use it as a filling for enchiladas. 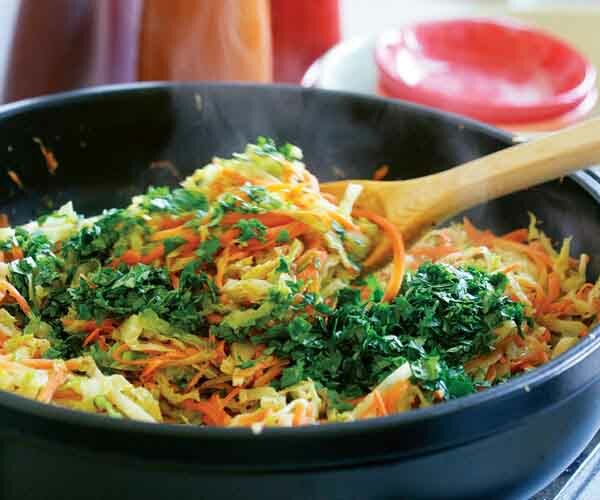 To speed preparation, you can use a packaged coleslaw mix in place of the cabbage and carrots. Toast 1 tsp. of the cumin seeds in a small skillet over medium-high heat, stirring frequently, until deeply browned and beginning to smoke, 3 to 5 minutes. Transfer to a bowl to cool. Grind to a fine powder in a spice grinder. Heat the oil with the remaining 1/2 tsp. cumin seeds, the coriander, and peppercorns in a large wok, Dutch oven, or 12-inch skillet over medium-high heat, and cook until the cumin is browned, about 2 minutes. Add the jalapeño and cook until sizzling and just starting to soften, 30 to 60 seconds, and then add the cabbage and carrots. (If using a skillet, the pan will be crowded at first.) Cook, stirring occasionally until the cabbage has wilted yet is still al dente, 3 to 4 minutes. Stir in the freshly ground cumin, salt, and sugar, and cook for 30 seconds. Remove the skillet from the heat. Stir in the cilantro and lime juice and taste for seasoning. Serve warm, at room temperature, or cold. Seasoning with salt at the end of the cooking process may seem unconventional, but it actually works better in stir-fries. Salt encourages vegetables to break down and release water, and that is not the goal in these dishes. This is a good dish but the depth of flavour fell short of my expectations. The first time I made this I had a very hot jalapeno the second time it was milder without modifying the amount of jalapeno. I think next time I will try it with a little onion and the cilantro sprinkled on right before serving. 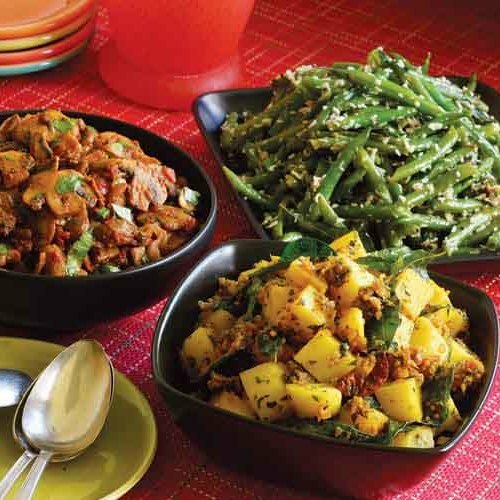 I like it and it adds variety to our meal choices but I will need to tweak it a bit more to love it.